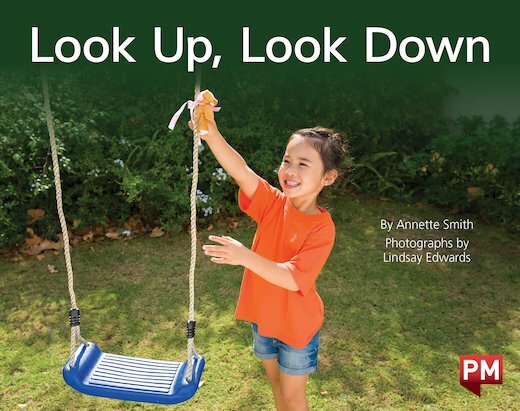 This book uses a children’s game, ‘Teddy Bear Hunt,’ to reinforce the spatial concepts of ‘up’ and ‘down’. The text offers opportunities for prediction and confirmation. Further positional vocabulary, i.e., ‘out’ and ‘into’ can be reinforced after reading this book.